Do FHA Loans Have Income Limits for Borrowers? There are no minimum or maximum income requirements for FHA home loans Rules do not say that it’s possible to earn too much to qualify for an FHA loan. Regarding minimums, regulations focus more on the borrower’s ability to afford the mortgage loan. June 6, 2017 - We get asked a lot of the same types of questions about FHA home loans. One of the most common questions involves income rules for FHA mortgage loan approval. "Can a borrower earn too much or too little to qualify for an FHA mortgage? Furthermore, can one or the other situation be overlooked if the borrower is a first-time home buyer?" These questions reveal some basic misconceptions about FHA home loans. The first is that there is a preference, advantage, or other special treatment given to first time FHA loan applicants or first-time home buyers. The FHA single-family home loan program does not favor or give special treatment to first time homebuyers. It’s true that there may be state or local programs in the borrower’s zip area that might be available to help first time home buyers. It may also be true that some financial institutions offer first time home buyer programs. In the FHA lending process there is no preference or special benefits to a borrower who has never applied or purchased before. 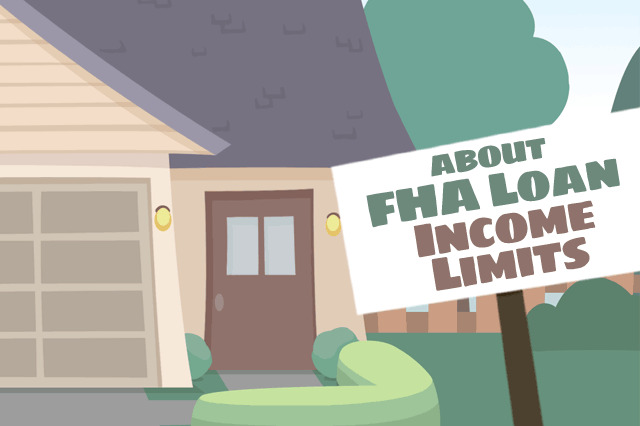 When it comes to income limitations and requirements for FHA home loans, there is no minimum or maximum. When it comes to the “minimum” amount the applicant must earn, FHA loan regulations focus more on the borrower’s ability to afford the mortgage loan--your debt-to-income ratio, repayment history on financial obligations, job and income verification and other factors are paid close attention to, the dollar amount of the gross income earned is not as important as the amount of money left over from that income once your monthly bills have been paid. Furthermore, FHA loan rules do not say that it’s possible to earn “too much” to qualify for an FHA loan--these loans are for any qualified borrower, not just people who cannot afford a conventional home loan. There ARE loan guaranty limits associated with FHA mortgages, but that is related to the specific amount of the FHA loan (determined by zip code) that the FHA will guarantee. A borrower may, depending on circumstances, be eligible to borrow more than the FHA loan guaranty limit, but the borrower would have to financially qualify and may be required to pay more money down. Speak to a loan officer about situations where this may apply.